Before the introduction of address classes, the only address blocks available were these large blocks which later became known as Class A networks. The Internet would start small but eventually grow. Some would be devoted to large networks on the Internet, while others would be for smaller organizations, and still others reserved for special purposes. As a consequence of this architecture, the address space supported only a low number of independent networks. An address that starts with is a class B address. It would be shared by many organizations. 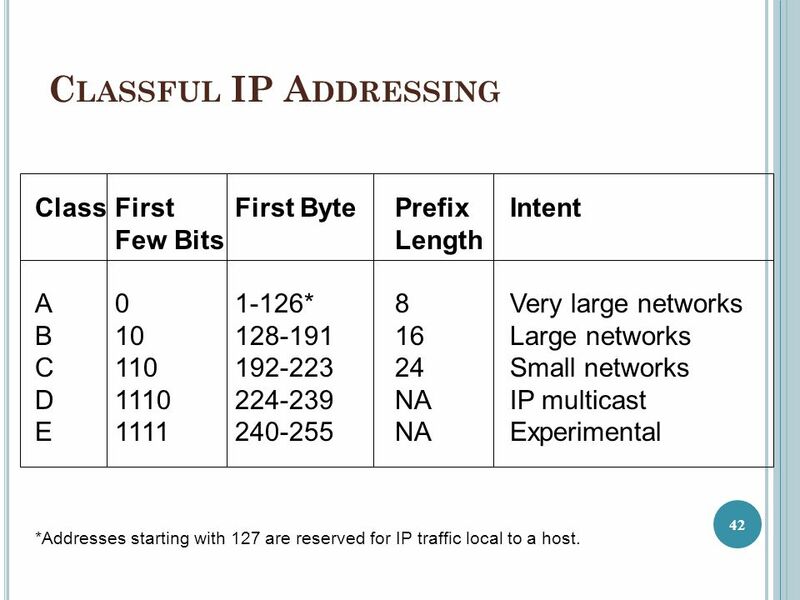 This is classful in the sense of the routing table, not a routing protocol. In other words, the default route is not used if there is a route in the routing table that is part of the same classful network as the destination of the packet. When there is a route in the table, ashleymarieegaming and bajancanadian dating packets destined to the same classful network must match a non default route. If we change this default, or we have very, very old equipment in our networks, the behavior is classful routing. The similarity is in history, not in function. It became clear early in the growth of the network that this would be a critical scalability limitation. In modern networks, there is no reason to disable it. Obviously, if the route actually matches the destination of the packet, it will be routed. Longer, or more specific, routes are preferred. At that time, it was disabled by default.